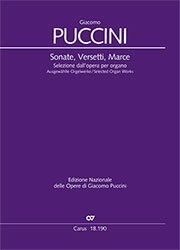 With the unusual combination "Beethoven and organ music", this edition introduces fresh colors into the repertoire. 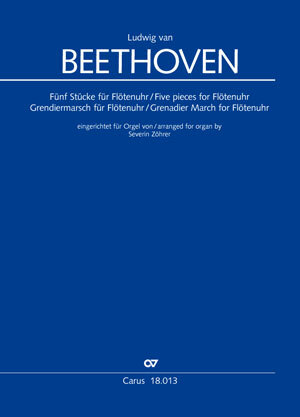 Like almost all the great composers of Viennese classicism, Beethoven too wrote for the mechanical organ, an instrument which was very popular with the public in its day, controlled by a cylinder and equipped with organ pipes. 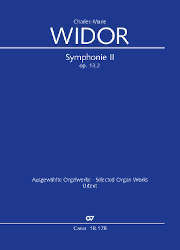 His compositions for this instrument are included complete in this edition, carefully arranged for performance on a conventional organ. These extremely charming works are now available, suitable not only for concert use, but with their length of about two to six minutes, they are also suitable for church worship. 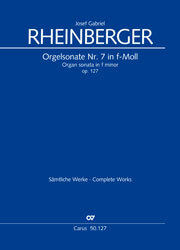 The Grenadiermarsch is available for the first time in an arrangement for organ.